Discover the masterpieces of the Vatican Museums with this semi-private morning tour. 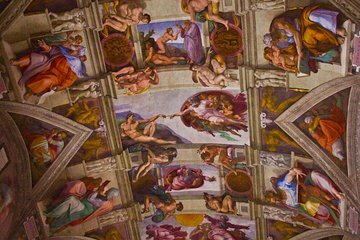 Follow a guide to see the Sistine Chapel and the apartment of Pope Julius II during this small-group tour. Learn about the artworks by renowned artists such as Raphael and Michelangelo. Finish the tour with a visit to St. Peter’s Basilica.